Desk pad protects your desk and keep up-to-date with classic styling. Dated planning pages range 12 months from January to December. One-page-per-month format includes ruled daily blocks (3-1/4"" x 2-3/4""), Sunday-through-Saturday scheduling, count of days/days remaining, and full-year calendar reference along the bottom. 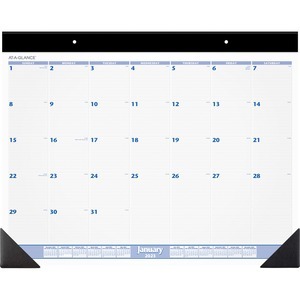 Desk pad is framed with a wide black headband and black ploy corners. Use eyelets in the headband for hanging. 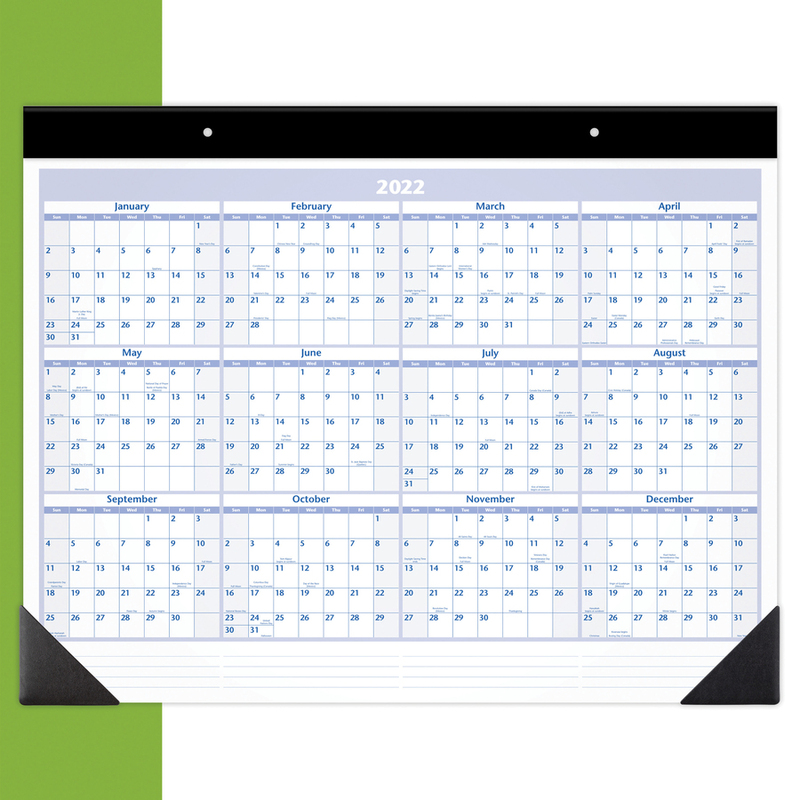 Calendar pages are perforated for clean tear-out and printed in blue and gray ink on quality recycled paper.